Make interviews easy for everyone. Interviews are an essential part of the hiring process, and also one of the most logistically challenging. Putting together and interview schedule that works for everyone is hard enough. And when you consider the possibility of going back and forth on email threads that don't talk to your ATS software, the challenge just compounds. 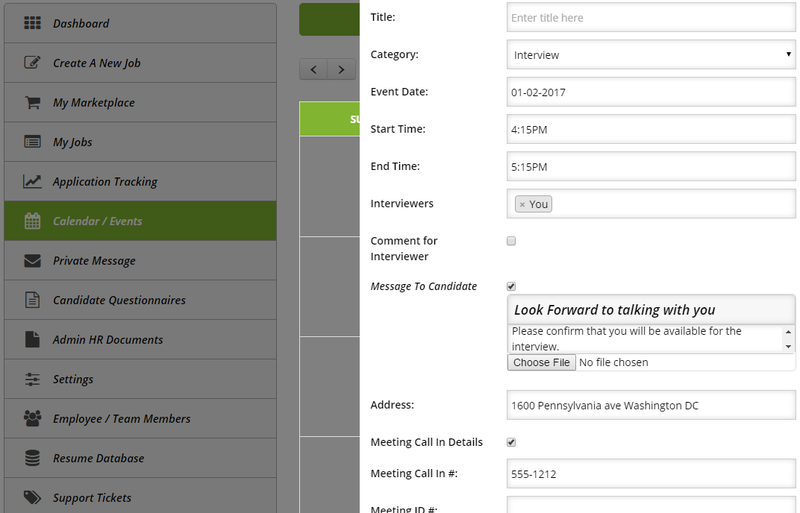 Once a candidate has made it to the interview stage, our ATS software will send you an interview scheduling email. Your team members can sync their external calendars (Outlook, Google, etc.) in AutomotoHR, so you can refer to any existing conflicts as you're searching for a good time to schedule an interview. Candidates will receive interview requests to their email. Once a candidate has accepted an interview, it will be included on both the internal and external calendars of all the users you've added to the interview. Connect your AutomotoHR calendar with your digital calendar of choice for maximum schedule synchronization. From meetings to deadlines, your whole life is on your digital calendar. If an appointment isn't on your calendar, it might as well not exist. Your recruiting software's calendar needs to integrate with the calendar you use on a daily basis, or else you're going to forget interviews and other hiring tasks. AutomotoHR's calendar easily integrates with your digital calendar of choice, be it iCal, Google, Outlook and more. You can both import your digital calendar to AutomotoHR, our export your AutomotoHR calendar to your digital calendar. 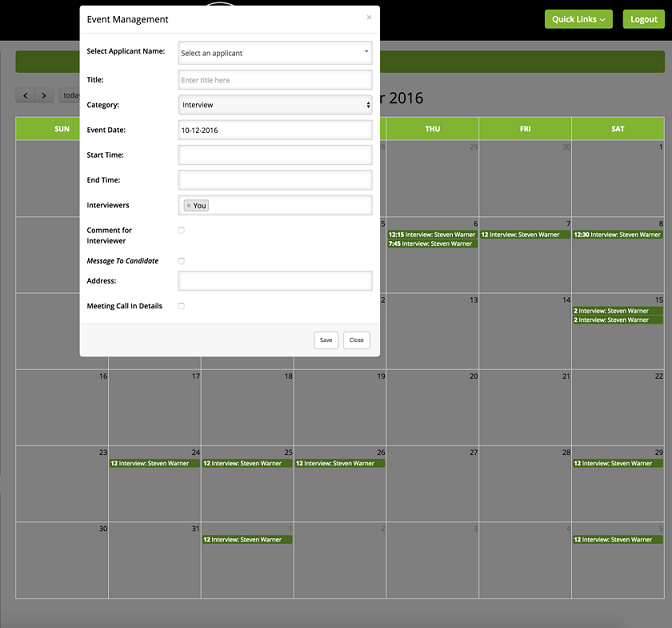 Once they're synced, AutomotoHR will refer to existing calendar events to avoid scheduling interviews and other hiring to-dos within the recruiting software. When you receive an event invitation via the HR and Recruiting software, not only will it appear on your AutomotoHR calendar, it will also appear on your external one. By integrating your calendars, you'll avoid double booking yourself. Additionally, you'll be able to access your schedule of hiring tasks without having to log in to the HR and Recruiting software. Managing interviews have never been easier. 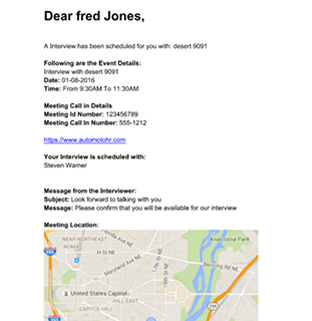 Interviewers & candidates can accept or decline interview invitations directly from email or the app. Once accepted or declined, organizers receive a notification making it easy to manage interview schedules. Receive a copy of the entire of the interview schedule and candidate correspondence for even greater transparency into the interview process. With our HR and recruitment software, it's easy for you and your colleagues to record your thoughts after you've interviewed candidates. Frequently, multiple members of your team will be involved in the interview process. Ensuring that everyone provides their thoughts following interviews with candidates, and collecting these candidate-review notes all in one place, can be challenging to say the least. Following an interview, every user that you invite to the interview within the recruitment software will receive an email notification to submit their candidate feedback. They can do so from their email or directly on the candidate's profile page. When providing interviewer notes, users can rate candidates on a five-point scale. There's also a field for comments, where users can go into greater detail to record their thoughts on a candidate. Comments are fully editable and you can see the edit history. Additionally, you will receive a notification each time a user submits interview feedback. By providing a central place for your team to submit interviewer feedback, our HR and recruitment software ensures that no one's voice is overlooked. And our applicant review notifications help keep everyone on task.